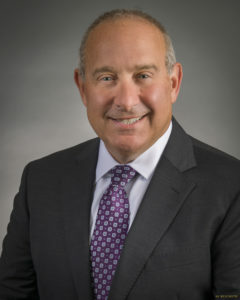 Paul Singerman Named “2019 Lawyer of the Year in Cleveland” in Real Estate Law by Best Lawyers - Singerman, Mills, Desberg & Kauntz, Co., L.P.A. Paul Singerman has been honored by The Best Lawyers in America© as the 2019 Real Estate “Lawyer of the Year” in Cleveland. Paul has been recognized by The Best Lawyers™, the peer-reviewed publication, every year since 2007. This year Paul has received the “Lawyer of the Year” distinction for Cleveland real estate lawyers. Paul is honored to receive such an award and will continue to provide only the best counsel to his clients. This is the third time in recent years that a Singerman, Mills, Desberg & Kauntz Co., L.P.A. attorney has received a “Lawyer of the Year” in Cleveland distinction. Gary Desberg was the Cleveland “Lawyer of the Year” in the practice area of real estate in 2015, and Ronald Teplitzky was the Cleveland “Lawyer of the Year” in the practice area of Banking and Finance that same year.